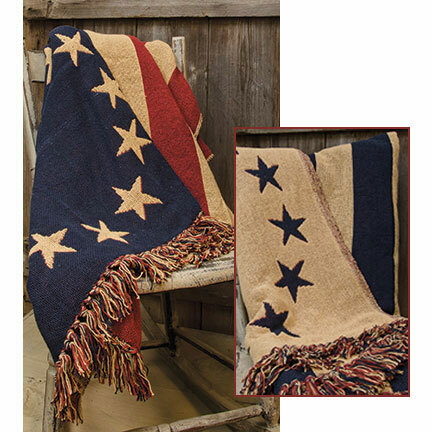 American flag polyester tapestry throw with fringe. Made in the USA. 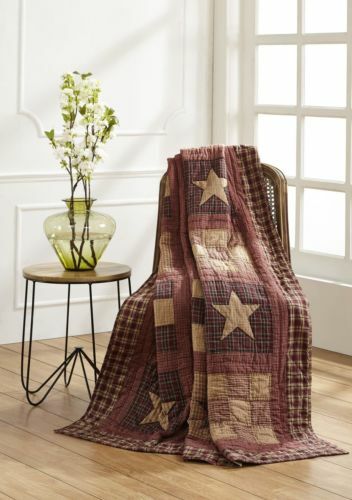 50" x 60"
Barn star burlap throw with fringed ends Machine wash on gentle cycle with cold water and hang dry. 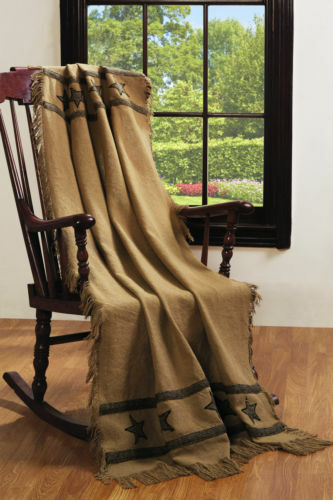 Tan and Black 50"x 60"
Faith Family Farming polyester tapestry throw with fringe. Made in the USA. 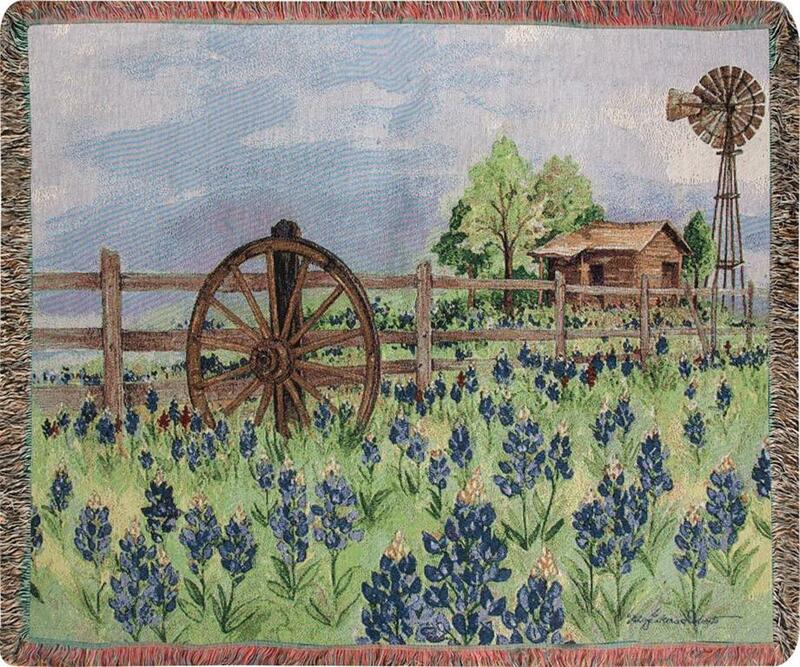 50" x 60"
Farm scene polyester tapestry throw with fringe. Made in the USA. 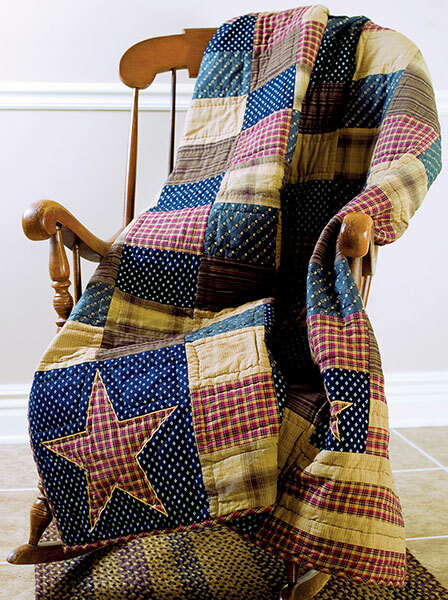 50" x 60"
The Patriotic Patch Throw is a 100% cotton patchwork quilt in navy florals, brown, taupe and deep country red. 50" long and 60" wide. Primitive star and paisley polyester tapestry throw with fringe. Made in the USA. 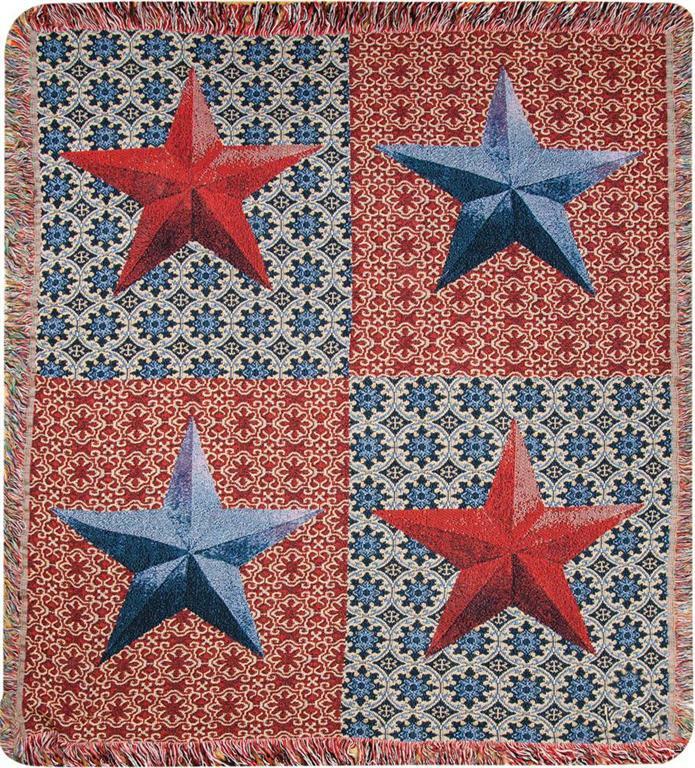 50" x 60"
Red and blue primitive star polyester tapestry throw. Made in the USA. 50" x 60"